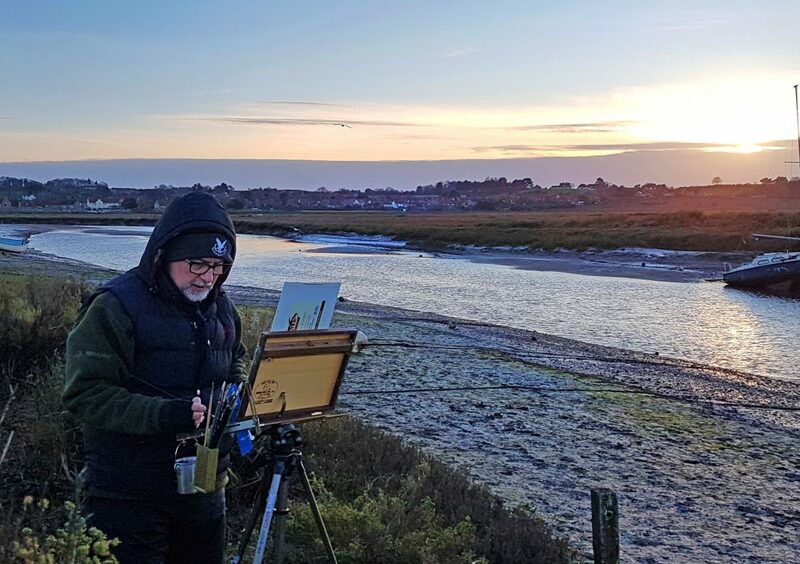 I have just returned from a lovely Christmas break in Blakeney on the North Norfolk coast and managed to combine the usual festivities with a little plein air painting. Luckily the weather was dry but very cold and windy, tricky conditions for painting outside. I gave myself about 75 minutes to complete the oil sketch below, most of it was spent holding to the tripod with one hand and painting with the other! It was good fun and I am pretty happy with the final result as I think I managed to capture enough of the winter light at the end of the day. As you can also see I was very well wrapped up and the finger-less gloves came in very handy.